All too often, clients come to me complaining of work-related stress. Sadly, a growing number are trying to mask the symptoms by popping the trendy anxiety and/or pain med du jour rather than digging down to understand and manage the underlying cause(s) of their stress. I believe the root cause of much of our stress can be found in the structure of the modern-day workplace. We sit too much—too often hunched over a keyboard (I’m guilty of this!). We mindlessly snack and eat lunch at our desks in the hopes of getting “more done” by not taking breaks. We absorb and internalize the emotional pressures and let them keep us up at night. And the results… depression, low energy, back and heart problems, neck and shoulder pain, expanding waistlines, and unhappiness, just to name a few. It’s time to convert our bad habits to good ones… but how? A New York Times article summarized several recent studies with these simple words: your chair is your enemy! As life gets busier and schedules jam-packed, something has to give. Unfortunately for many, sleep gets sacrificed. Sleep is essential for survival and good health. In 2015, the National Sleep Foundation released its latest recommendations on sleep. For adults, the nightly goal should be between 7-9 hours, though your mileage may vary. We spend close to a third of our lives asleep, or at least we’re supposed to. Sadly, an overwhelming majority of adults don’t get enough sleep, leading to a whole host of other, related issues. Many of us admit that we’ve forgotten what being truly rested really feels like. Remember, there is no substitute for good restorative sleep. Making sleep a priority will help you feel happier, less grumpy, and more energized, creative and alert. I’m a bit of a nutrition hobbyist, now, but it wasn’t until my forties that the extra few holiday pounds wouldn’t come off as easily as they used to come springtime. Refusing to buy a whole new wardrobe, I started paying more attention to what I was putting in my mouth. Keeping track of the mindless nibbling while sitting (and now standing more often than not) at the laptop was an eye-opening exercise! Substituting healthy snacks and lighter meals for processed foods, making time for daily movement and exercise, and actually scheduling and getting sleep are the keys to feeling happier, healthier, more energized… and WAY less stressed at the office! How about you? 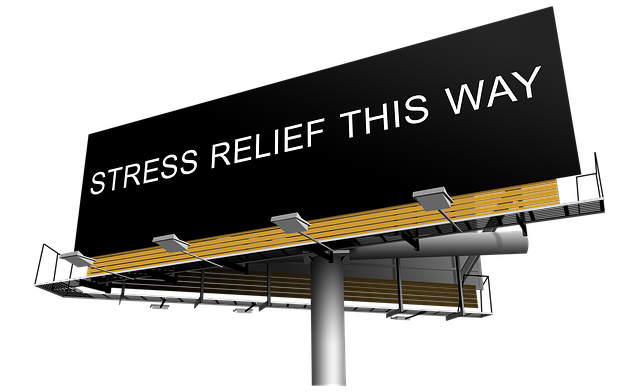 Are you looking to reduce stress in your life? What are your best stress reduction techniques? I would love to hear all about how you are doing it, so please write to me at deb@newchaptersolutions.com.